Note: Select one of the Series from the right side column, From the	series page select PDF for sizing. On this page in the right side column you can find links to the individual series of boiler tube expanders where detailed information will help you decide the correct size and part number required. To achieve this you will need to know the tube OD, wall thickness of the tubes and the thickness of the tube sheet within the boiler. Tube Expanding is the art of reducing a tube wall by compressing the O.D. of the tube against a fixed container, such as rolling tubes into tube sheets, drums, ferrules or flanges. To assure a proper tube joint, the tube wall must be reduced by a predetermined percentage. The following chart can be used for determining the correct tube wall reduction. The chart below shows a typical 3/4” – 16 gauge tube. Before rolling this tube you would find the proper rolling dimension as shown. A. First determine the tube hole size. B. Then determine the tubes outside diameter. C. Subtract the tube outside diameter from the tube hole dimension. 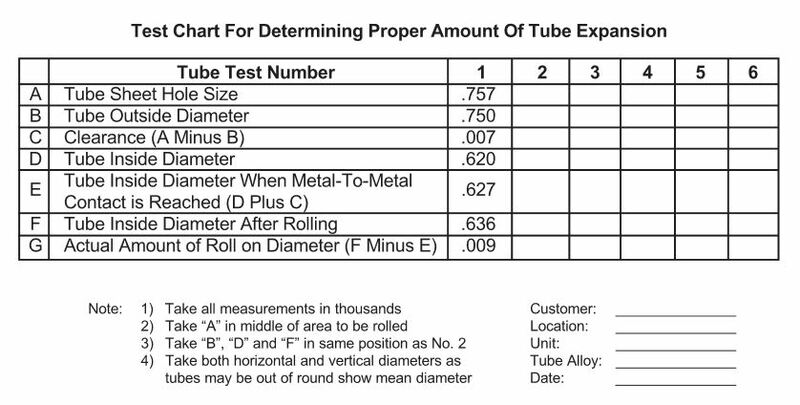 D. With a tube gauge, determine the inside diameter of the tube before rolling. E. By adding the dimension found in “D” to the clearance between the tube O.D. and the tube hole, you will then know the tube’s inside diameter at metal to metal contact. with an accurate Tube Gauge. G. By subtracting “E” from the rolled diameter you determine the actual amount of expansion (tube wall reduction) on the inside diameter of your tube. This can be converted to a % of wall reduction by dividing the actual wall thickness (“B minus D”) .130” into the amount of roll .009. You can use this chart to your advantage by predetermining both the % of wall reduction required and the actual inside diameter which should be rolled. After the completion of “E” you realize any additional increase of the inside diameter of the tube will result in actual wall reduction. 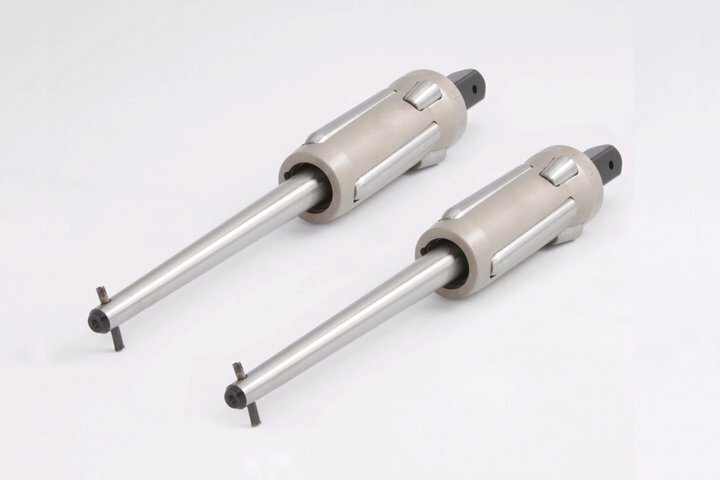 Since the amount of wall reduction greatly determines the quality of the tube joint, you should arrive at the % required for your application prior to tube rolling. By subtracting the tube inside diameter “D” from “B”, you determine actual wall thickness. This example would therefore be .130”. If you then take the 7% wall reduction times the wall thickness, you arrive at .0091”. Adding .0091” (“G”) to .627” (“E”) we get “F” the inside diameter of the tube after rolling (.636”). 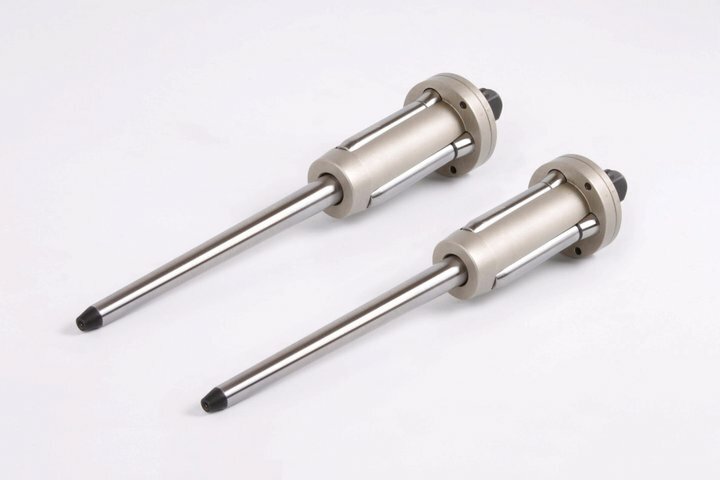 Durable design for parallel rolling, available with Short, Drum and Header type Mandrels. 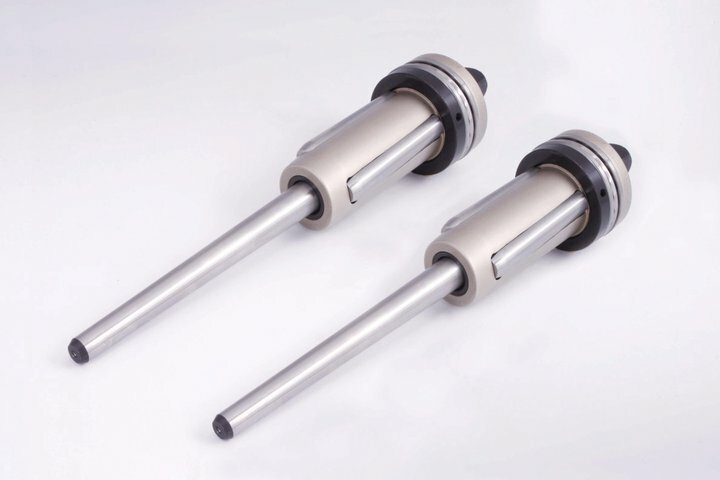 Three parallel straight rollers and three flaring rollers, various mandrels available. High productivity tool for straight parallel rolling. 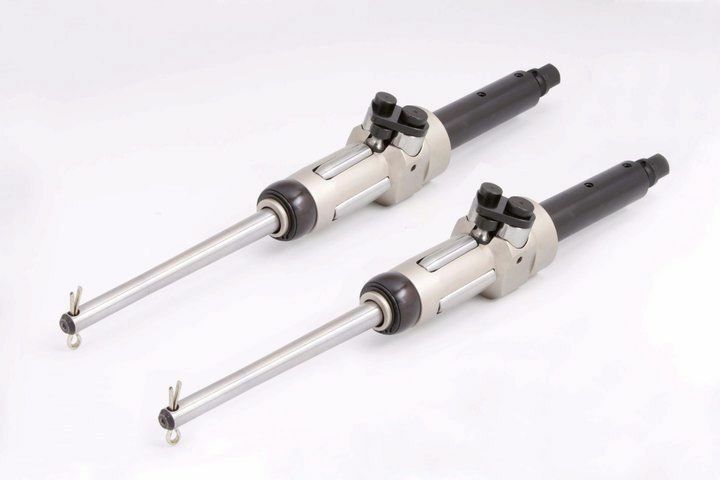 High productivity tool for flaring tubes at 30 degrees. 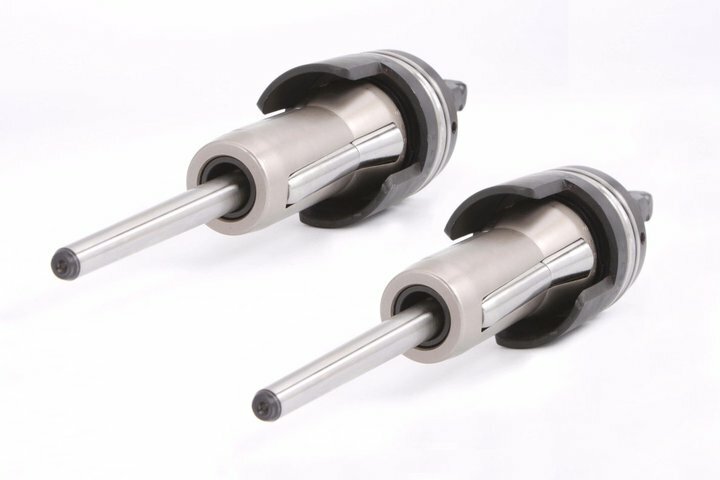 Over lapping flaring rollers prevent ridging, can be used in confined spaces with various mandrels. For Tube Sheets and Drums thicker than 2.3/4. 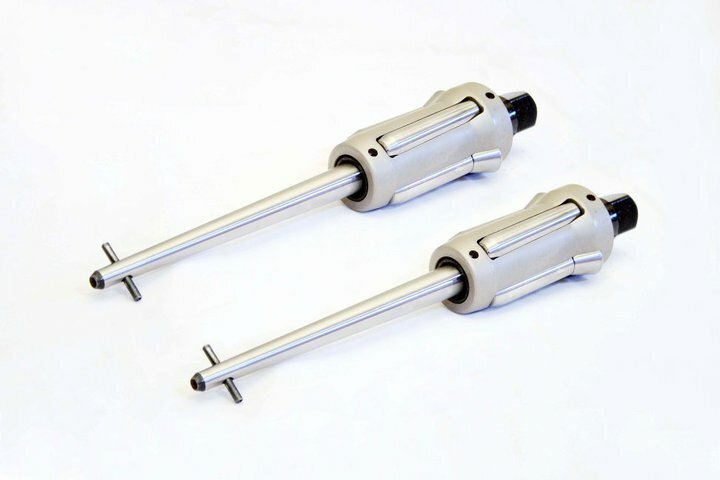 Step rolled and can be used in conjunction with the P-1000 Series for a flared finish. 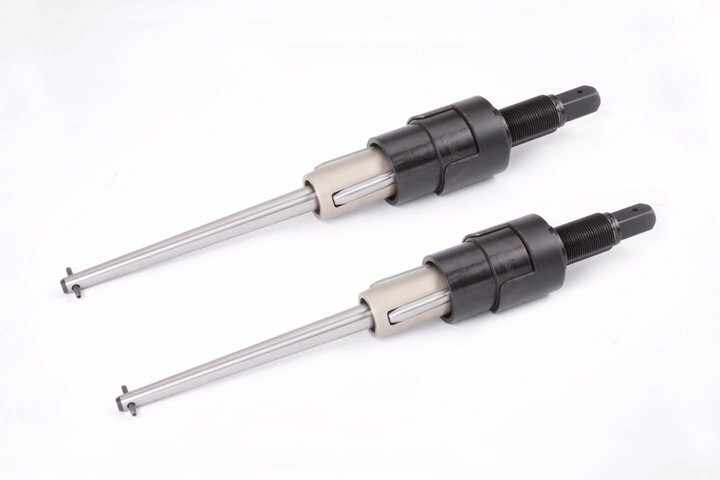 Combination Beading Expanders in 2.0", 2.1/2" and 3.0" OD. 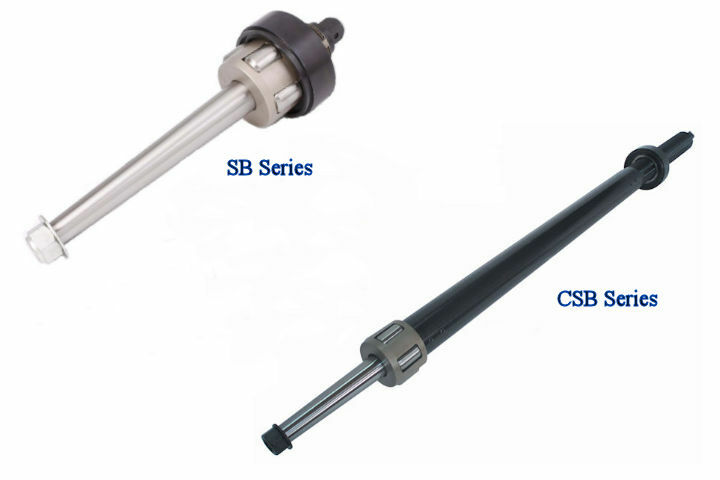 SB and CSB Series for Sugar Mills. 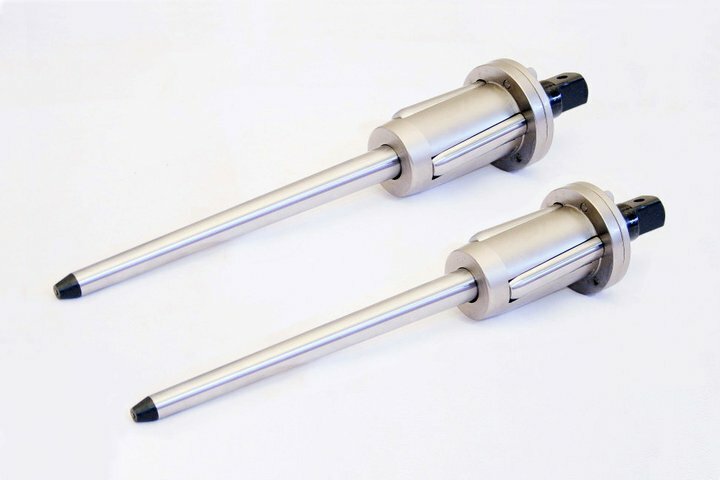 5 roll system for rolling thin walled tubes in juicers and evaporators.